The British 2:29 marathoner provides an insight into her self-coached training schedule and shares details on her nutrition. 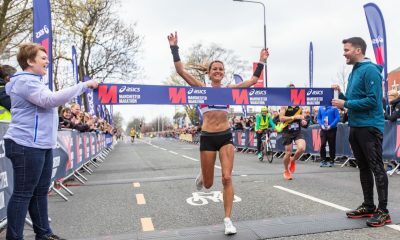 Aly Dixon may have been forced to withdraw from the European Championships marathon team after losing a battle against time to regain race fitness following injury, but the North Eastern star is confident her self-coaching will ensure she’ll be bouncing back soon. The Sunderland Stroller has made running her full-time job since 2015, making ends meet doing online coaching, along with receiving some support from UKA, the Virgin London Marathon and Nike. While the 39 year-old is set up for a post-elite athletics career (she has a degree in Sport and Exercise Development and post-graduate qualifications in Computer Based Information Systems and Sports Massage Therapy), her focus now is on regaining her enviable marathon speed to give herself one last shot at a major championships – namely the Tokyo Olympics in 2020. 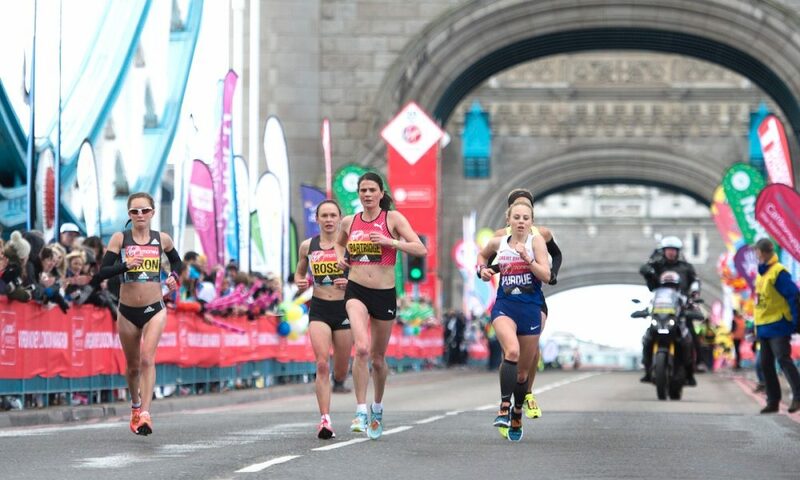 So what does one of Great Britain’s fastest ever marathon runners’ schedule look like, how does she retain fitness when injury strikes and what food does she rely upon to keep those much needed energy tanks well fuelled? 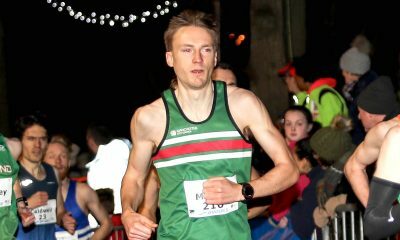 We asked the Olympian and Commonwealth Games veteran: what does a ‘typical’ week’s training look like for during a marathon block? 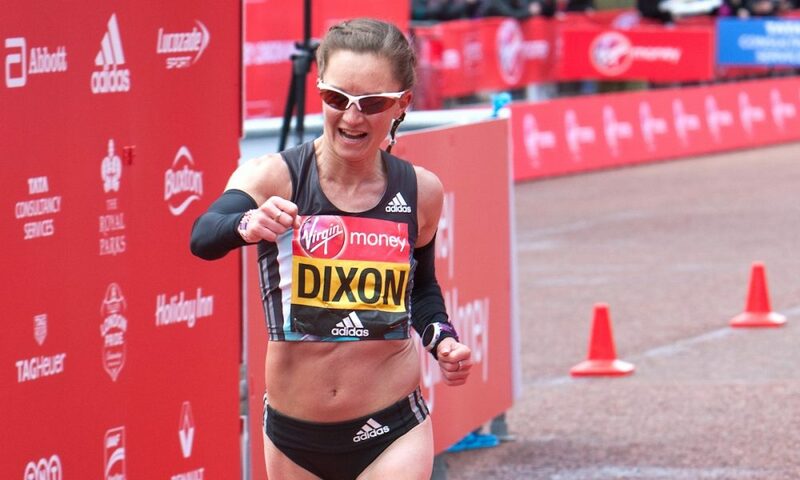 “When I’m in marathon training I don’t follow a seven-day programme,” Dixon explains. “Instead I structure my training so that I do a hard day (track, tempo, long run) every third day. “I’ve always been a lover of high miles, but over the years I’ve come to realise that there is a limit to how much you can do without having a negative effect,” she says. “In my last two marathon blocks I ran over 130m weeks, which in all honesty is just crazy and there’s really no need. “In reality, I know that 115 -120mpwk is more than enough, so now I try to keep to less than that. The cross-training helps as it allows me to flush the legs out after a hard day without the added impact. It also uses slightly different muscles, so it gives my hamstrings a break and gets my quads working a bit more. Dixon has been self-coached since leaving Liz Nuttall’s guidance in 2012. She acknowledges that, while it has paid off for her, it’s not always the easiest option. “It does take a lot of courage and confidence to take on a self-coached approach, but as long as you have a good mentor or confidant you can pass ideas by then it’s quite liberating, and makes you take more ownership of your training and performance,” she explains. “The hardest part is being totally honest with yourself and not just mindlessly following what you’ve written or skipping runs because you can. “I’m often guilty of pushing too much and stepping over the fine line into the realms of over-training, whereas if you have a coach they would normally see those signs before you make the mistake. It can be hard at times but it has worked out well. What specifically changed in her training once she made the decision to oversee it herself? “I based my training on stuff that my dad used to do,” she reveals. 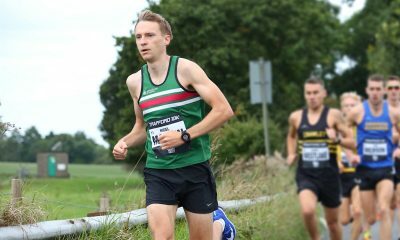 “He was coached by Alan Storey back in the day and ran 2:21, so I spoke to Alan and got a few ideas. Funnily enough, they were very similar to what I had been thinking for a while – longer tempos, longer long runs, tempo mixed with reps and so on. Dixon also credits the support of the world’s fastest ever marathon runner, Paula Radcliffe, with a lot of her success. “Paula has been a huge help over the last three years and if it wasn’t for her I’d not be where I am now,” she says. “I write out what I plan on doing over the next few weeks, before then sending it off to her, she looks over it and comes back with some suggestions. “Sometimes it’s changing the order of the session or cutting some back. Her reply normally includes the words ‘more rest needed’! I have taken this on board though, and try to have a complete rest day every 7-10 days. “We’ve also enjoyed racing for fun together too, at the Disney Paris half and the Sunderland half – and although there’s photo opportunities at Disneyland there’s no stopping when you are running with Paula! 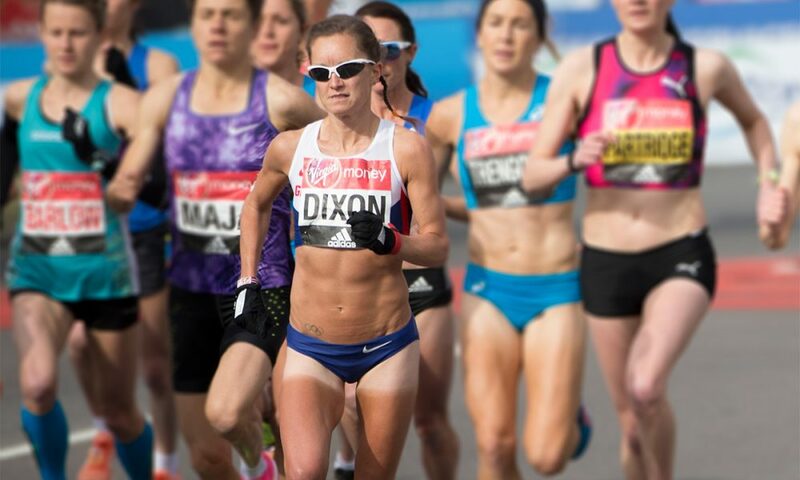 Although Dixon has clearly enjoyed racing and training hard over the years, she has had to take the rest day mantra on board more and more after a number of injury-induced disappointments over the years. She has, however, as a result, learned the power of cross-training to maintain fitness before running training can resume. Her venture into cross training initially started in an effort to make the London Olympics marathon team back in 2012, when she tried – ultimately in vain – to get fit in time to gain the qualifying time at the London marathon earlier that year. “Although I had what was then the B standard, I knew I’d need a sub-2:30 time to make the team, so that’s what I aimed for,” she reveals. “I was in the pool aqua-running twice a day, seven days a week. It’s the most boring thing in the world having to ‘run’ up and down a pool for two and a half hours to replicate your long run. “It worked though and I came out of the pool fitter than I had ever been. My first race back was a cold and snowy Saltwell 10k and I broke the course record by 40 seconds after only three weeks of land running. However, I then burnt myself out in Kenya, where I was running more than 125 miles a week and doing stupid sessions like 30×400. So how does the self-confessed high mileage fan ensure she’s properly fuelled? Breakfast: porridge with chia seeds, almonds, raisins, seeds, berries, banana and cinnamon. I’m a big fan of the Whitworth fruit shots for a little bit of variety. Snack: some kind of fruit and some nuts. Lunch: a tuna/ham/egg salad, either as a sandwich or with a chunk of crusty bread. Or poached egg on a toasted bagel. Snack: Maltloaf with jam or almond butter. Dark chocolate. Chia charge flapjack. Dinner: some kind of meat stir-fried with veg and served with rice/noodles/sweet potatoes. Snack: Greek yoghurt, seeds, berries. Hot chocolate. Popcorn. It’s clear that the down to earth marathon star recognises the importance of taking advice and accepting support from experts who clearly care about her progress and general health, with McGregor, Radcliffe and Cram and Curbishley all featuring strongly in her success story. However, it’s when Dixon reflects on the numerous local half marathons and parkruns she has done ‘for fun’ that it’s obvious the northern ace will never stray far from her roots, even if she does have to travel as far as Japan in two years time for a certain Olympic Games. It seems clear that, with Dixon, you can take the girl out of the North for altitude training or far flung races, but you’ll never take the North out of this Sunderland lass.